LPDA-A0083 is a directional log-periodic dipole array for EW applications covering 30 - 1000 MHz with a typical gain of 4 dBi and 1 kW power handling. LPDA-A0083 can be configured for horizontal or vertical polarization. 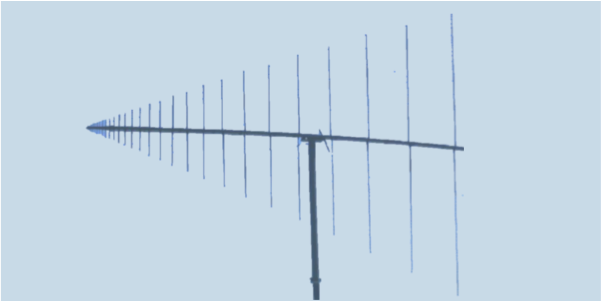 For vertical polarization, an isolation mast is required, to prevent the mast from affecting the antenna. The antenna can disassembled for ease of shipping and bolted together with supplied tools.